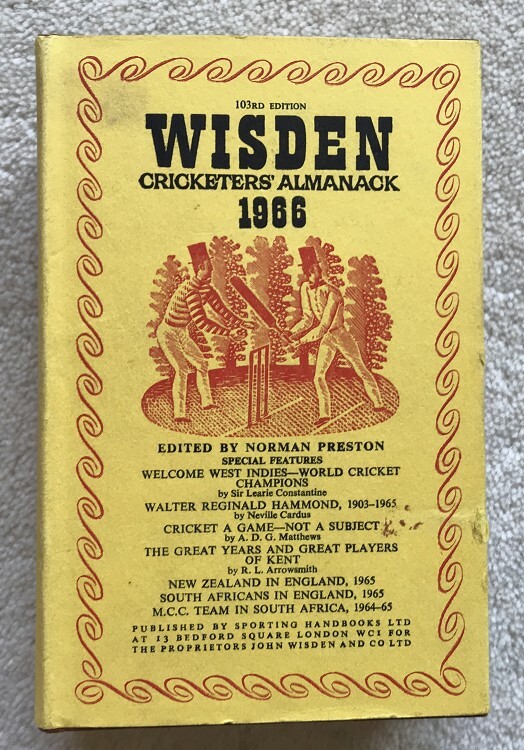 This lot is a 1966 Original Hardback Wisden with Dust Jacket. It is in Very Good condition. The DJ is very bright yellow it is ever so slightly darker to the spine when opened up and a small rough patch the the front right of the DJ (2 inches from the base as shown) and a small mark in the corner at the front (top left) Lovely gilt and clean pages. Please see the large pictures.